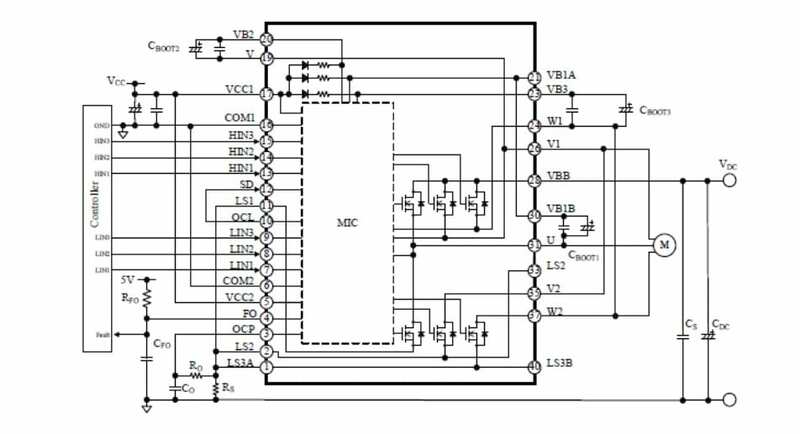 The SIM6880M from Sanken is a high-voltage 3-phase motor driver IC in which transistors, a pre-driver IC (MIC), and bootstrap circuits (diodes and resistors) are highly integrated. The product can run on a 3-shunt current detection system and optimally control the inverter systems of small- to medium-capacity motors that require universal input standards. The integrated 600V IGBT is rated for 1.5A and has an RDS(on) max. / VCE(sat) typ. of 1.85. The SIM6880M is delivered in a DIP40 package. Applications are expected to include refrigerator compressor motors, fan motor and pump motor drives for white goods, air purifiers, electric fans, and similar systems. On The Web: Sanken Electric Co. Ltd.